The thrash revival movement is somewhat of a touchy subject for many a seasoned veteran of the genre. Whilst bands such as Bonded By Blood and Lich King have a few decent songs and are just about listenable they are certainly a far cry from the days when thrash was consistently gifting many amazing bands. The core difference between Bonded By Blood and many of the old thrash bands such as Anthrax, Megadeth, Kreator, Coroner and Annihilator is that each of those older thrash bands had at least one release to truly be proud of and brag about and that laid the template for what each of these rip-off revival bands have attempted to create. From the modern thrash scene however there is one band that can truly be mentioned up there among the best of the bands in the genre and that is Riftwalker. 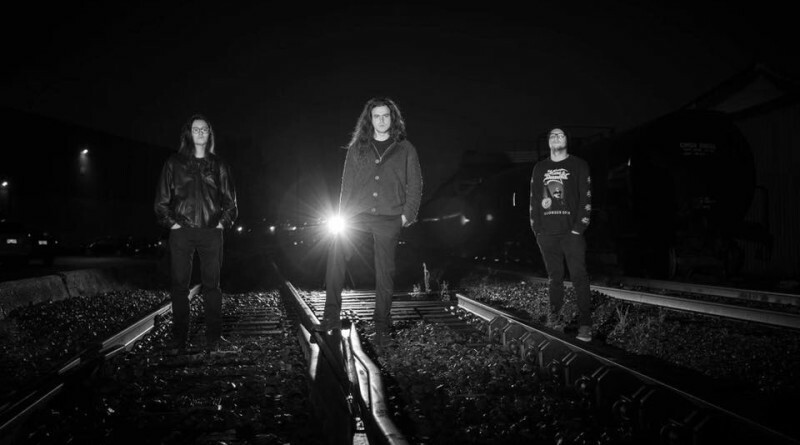 Hailing from Vancouver, Riftwalker is a trio originally formed in 2009. The band are heavily inspired by Voivod but this is only limited to their progressive style of thrash metal as the band’s first album proved. Riftwalker combine intricate song structures with a variety of riff tempos and some highly technical guitar work alongside murderous screaming vocals. 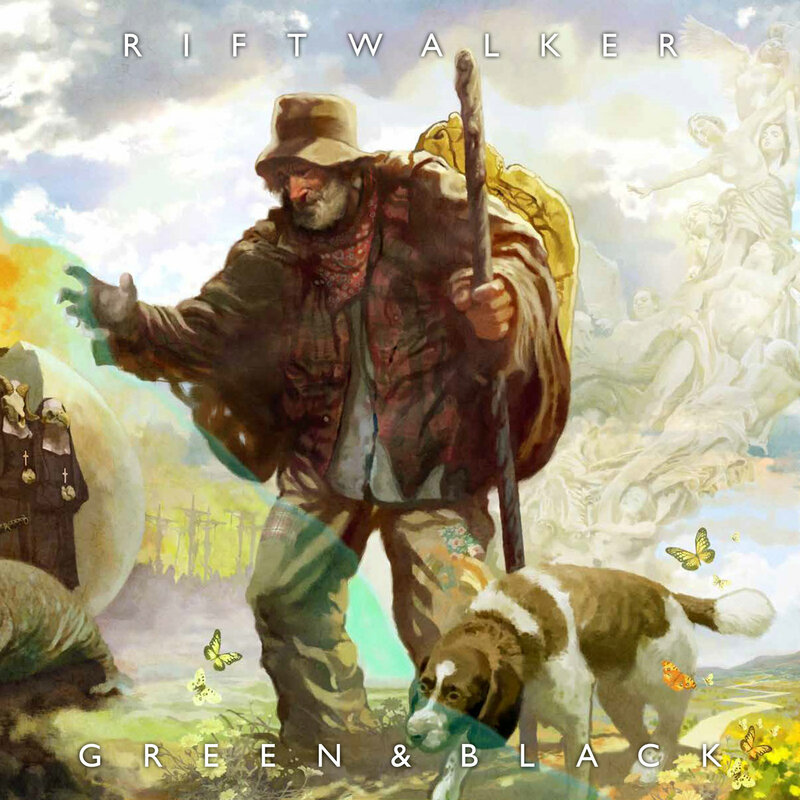 To date Riftwalker released an EP titled Wreckage of the Old World in 2013, and Green & Black released in October this year. Green & Black is an album that sounds completely fresh among a collection of revival groups that sound like carbon copies of their influences. In place of the reliance on fast tremolo picked guitar lines and barked vocals Riftwalker brought something new to the table. The first track instantly captures the listener’s ear and doesn’t let go until the full album has finished by which time you are flat on the floor wondering what just hit you. The guitar work on this release is about as varied as it gets, as is immediately evidenced by the thrilling title track. The song opens up with some slower chord based riffs before plunging headlong into a lightning fast verse riff that still remains marvelously creative. If your jaw is not already on the flaw by now with absolute awe then the ridiculously well placed guitar fill after the chorus should do so. This is also an album that does not let its solos dissolve into mindless shred fests as this song also shows with a fantastic solo that sounds so great within the context of the album and adds the icing to an already amazing cake. The progressive side of this band is also something really amazing with two songs going for an 8-minute mark. Many thrash songs that would aspire to clock in at these sort of lengths would descend into mindless snooze-fests but this is something that Riftwalker got right. The song structures are constantly adjusting and evolving meaning that even the longest of songs on the album do not get remotely boring. This is a band that does not know how to not fire on all cylinders and put in one hundred and ten percent effort as both their releases can stand testament to. From the dark and chaotic sound of the album to the faint jazz influence to the manic song structures, Green & Black is an album that succeeds on every level and is an album that will never fail to amaze. I recommend this to anyone who wants a progressive metal album that constantly evolves and remains exciting all the way through. You can buy a copy of Green & Black from Bandcamp. Follow Riftwalker on Facebook.